When you are sick of your gear "blending" in into the abyss of plain black cases, give our neon green laminate a try! We guarantee that your cases will be noticed by the astronauts on the MIR Space Station! 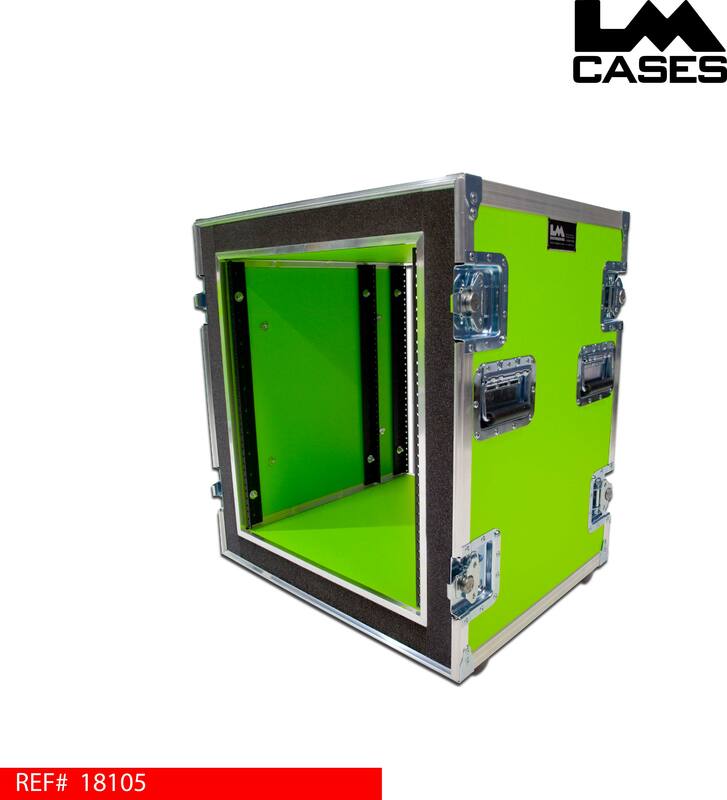 We built this case for the Federal Signal Corporation for use with their trade show exhibits. 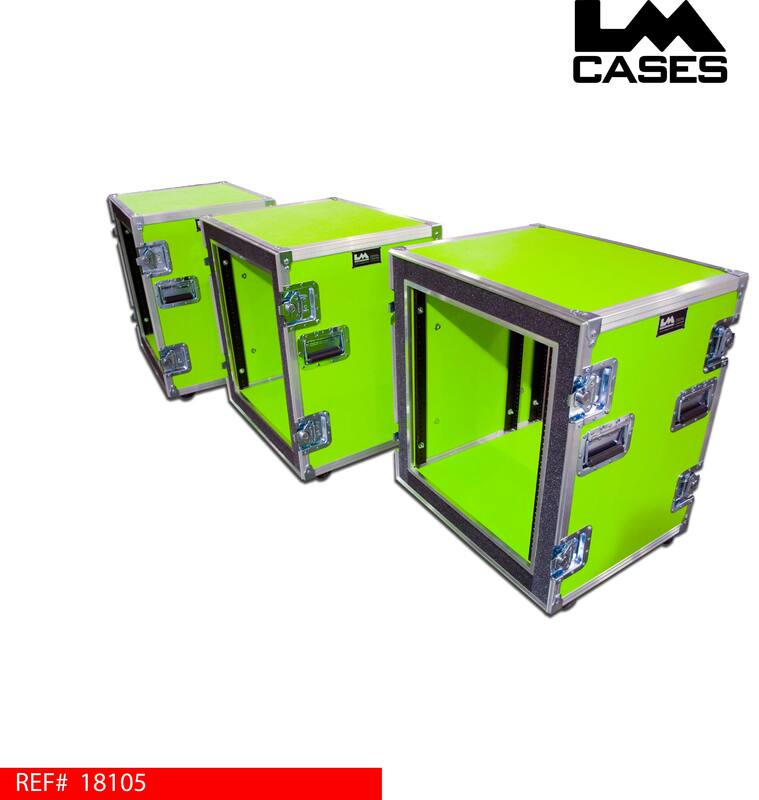 They needed a case that could stand out and be spotted easily from a distance, allowing them quicker set up and tear down because the event staff would always remember the bright green cases. 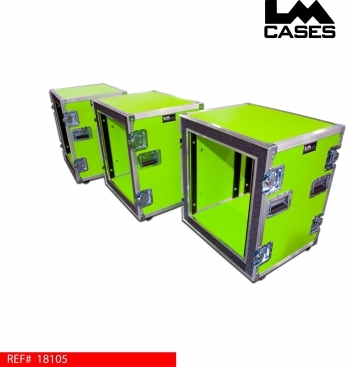 Specs: This case is a 12 space (RU) shock mounted rack. The design employs a 3/8" plywood outer case with a 3/8" inner rack shell surrounded by 2" foam. The rack features three sets of pre-tapped rack rail allowing gear to be screwed directly into the rail with out the use of captive nuts. The front and rear rack rails are mounted 1/2" in from the front of the shell, we also included a set of mid mounted rails allowing the amplifiers to utilize their rear mounting supports. 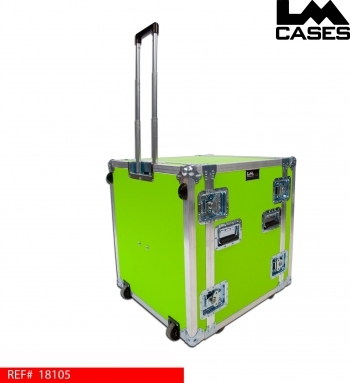 The case also features our Tilt N' Travel option, which consists of a telescoping aluminum handle and inboard dolly casters in the front lid.